The wall thickness of the lower 3″ X 3″ base tube Super Duty is 1/4″ thick. Included with the Super Duty Hitch is a welded steel hook to the top of your receiver hitch for quick and easy pulling power. 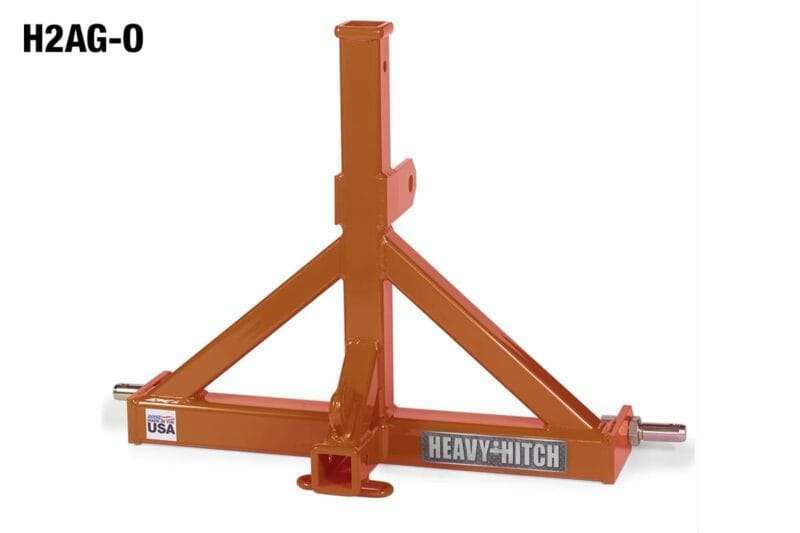 The hook makes it easy to attach a rope or chain to your hitch without having to mess with other attachments. Click image to view larger photo. The Category 2 Dual Receiver Three Point Hitch Adapter has a vertical and a horizontal 2″ receiver allowing it to work like a gooseneck hitch for those who don’t need a weight carrying hitch.